A SUPERMARKET DELI employee who claimed he was punished at work for warning management about a cake “infested with worms” and egg products seven years out of date has had his claim rejected by the Workplace Relations Commission (WRC). The man alleged that in June 2017 he had found a container of pasteurised eggs that were from 2010, as well as a cake “infested with worms”. He said that after he’d informed his manager about the products the supermarket penalised him with a written warning regarding an altercation with a colleague. After a period of illness following this, he resigned in January 2018. In its defence, the company said that the written warning was not linked to the man’s complaint. It also said that the complaint about the out-of-date eggs and the cake had not followed the correct legal procedure. The man had worked at the supermarket since November 2011. In a statement to the WRC, the man claimed he had been “penalised by management” for raising an issue of health and safety. The man said the altercation with the colleague occurred because the out-of-date products were from the bakery section of the supermarket that she was responsible for. In its defence, the supermarket said there was no link between the written warning and the man’s complaint. It said that the man was suspended for cursing at the colleague and being “aggressive” towards her when she challenged his behaviour towards another colleague. 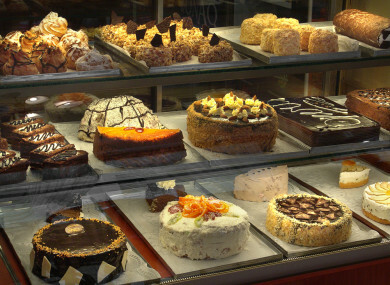 The supermarket disputed the suggestion that a cake “infested with worms” was brought to the attention of the manager. It also emerged, during an investigation by the supermarket into the man’s conduct, that the egg product wasn’t on sale before 2013 and couldn’t have been seven years out of date. Instead, the date stamp on the box was incorrect. The measures taken to discipline the man, the supermarket said, couldn’t have been motivated by his warning about the out-of-date food. Its investigation had found that the colleague who complained about the man’s behaviour was unaware that he had reported the out-of-date products to management and so this couldn’t have motivated the complaint against him. The supermarket also said that, if the man had been concerned about health and safety, he was obliged to raise it with the national consumer watchdog. The WRC found against the man and said that there was “no substance to his suggestion that an out of date egg product was in use in the supermarket or that there was a worm-infested cake in the deli chill cabinet”. While it praised him as a “competent and successful employee” who had “won awards” for his work at the deli, the commission found that he should have realised that the use-by date on the product was incorrect. It also said his failure to make an official complaint to the consumer watchdog meant that he couldn’t succeed in his case against the supermarket. Email “Deli worker who told bosses they'd stocked 'cake infested with worms' loses WRC claim ”. Feedback on “Deli worker who told bosses they'd stocked 'cake infested with worms' loses WRC claim ”.